EyeTV for DTT addresses a substantial gap in the Mac TV recorder market - it's the only portable device that can receive and record (using your Mac's hard drive) Digital Terrestrial Television signals. 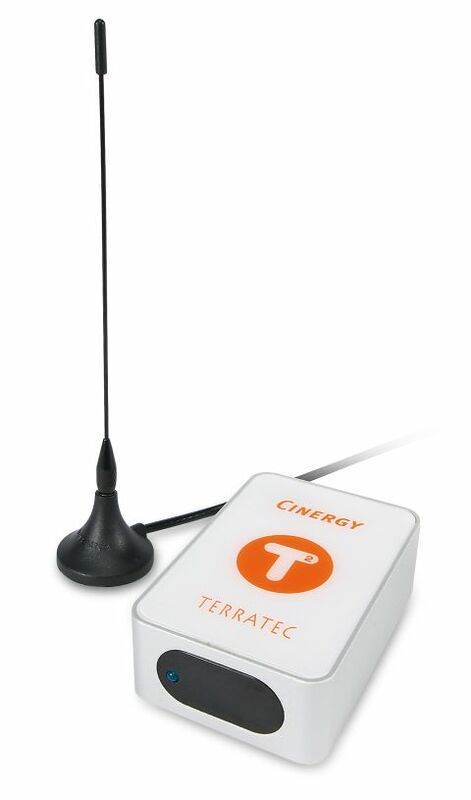 The package consists of a tiny, and we're talking smaller than an iPod mini, USB 2.0 TerraTec Cinergy T2 receiver device, an equally tiny antenna and EyeTV 1.8 software. Now, before we go any further, it must be stressed that there is absolutely no point in buying this if you live in an area with no Freeview reception (check your postcode at www. freeview.co.uk). You won't get any channels and it'll be a waste of cash. In fact, only in strongish reception areas was the supplied antenna good enough to pick up channels (and even then it didn't pick them all up). That said, you can, luckily, attach an external aerial to the coaxial socket on the back of the TerraTec device - meaning if you're going to be using it at home (which kind of negates the portability of the whole thing) you can plug it into your rooftop aerial and record from that. EyeTV itself is a great bit of software - it's everything you need. Setting up the device is a cinch. After tapping in your serial number, a wizard enables you to search for channels using a standard or exhaustive search (the latter is always best for more channels in areas with a weaker signal). Once you have your channels set up, you can either use the onscreen controls, or the supplied remote control (which is a less likely solution if you're to exploit the full portability of this device). An info bar appears every time to switch channels to inform you of which channel you're watching, what's on now and next and programmed channel number. It's all very simple - like watching Freeview on a set-top box, in fact. If you want more control over your viewing schedule, you can, if you have a web connection on the Mac the EyeTV hardware is set up on. You can use the supplied one-year tvtv subscription to either select what you want to watch, or, and this is the best bit, program EyeTV to record remotely (as long as your Mac is on) from the web or even your mobile phone. Recording programs is as easy as it should be. You can, as we've mentioned, either program EyeTV to record a show, or simply hit the Record button. Your programmes show up in a list, along with how much HDD space they're taking up (encoded in MPEG-2, EyeTV shows take up about 2GB space per hour). The built-in editor lets you quickly edit out ad breaks and the like. In addition, integration with Roxio Toast lets you burn shows to CD or DVD. Bear in mind, though, even with the fastest PowerBook, you won't want to try and work while recording TV - it can cause breaks in the recording process. If you're on a G5 stacked with RAM it's unaffected, but you can't lug a G5 around with you, can you?